Approaching the last days of Ramadan, we give you a deeper look at the TV series we’ve been following, our changing impressions of them and what they tell us about the industry and society at this moment. Although public opinion on social media and among our own team is that the series’ quality this year is not up to expectations, each of us took a series (or two) to follow and allowed ourselves to be seduced by television – for television is as synonymous with Ramadan as cafes, religious chants and overeating. Ard Gaw awkwardly climaxed too early: Its opening episodes featured a hijacking and the action-packed aftermath, but it has now transformed into a drama series around Ghada Abdel Raziq’s flight attendant character, Salma. It’s hard to tell if there’s still hope for Mohamed Abdelmoaty’s winding, character-driven plot. Thirteen episodes in, the hijacking (by Salma’s brother Yassin) has fallen into the shadows of a drama surrounding their family’s somewhat boring reception of the crisis. Deploying an excessive amount of moralistic devices, the show has become more about the consequences of Yassin’s decision than the action itself. The family fall victim to a chain of unfortunate events including blackmail, bullying and dealings with human smugglers. Their drama, however, pales in comparison to that experienced by Salma’s fellow flight attendants. Many scenes take place in a trendy apartment where the women gather to discuss the trials and tribulations of their lives. One woman is forced at knifepoint into marrying a thug, while another is sexually blackmailed by a Gulf passenger – to give just two examples. Ghada, our hero, sweeps in to solve these problems with an overstated sense of fashion and righteous illustrations of feminist rhetoric. 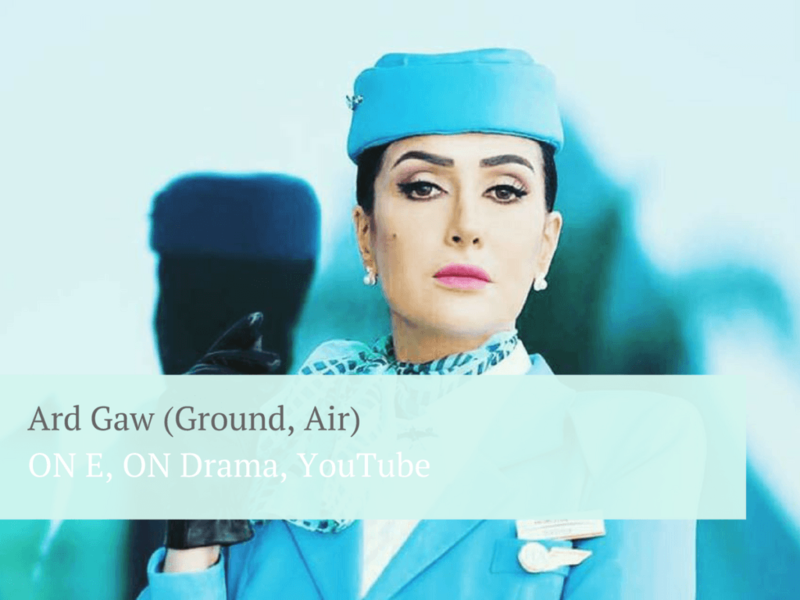 The show has garnered its fair share of criticism, including a public statement by the General Syndicate for Flight Attendants denouncing the misrepresentation of flight attendants and a YouTube episode by video blogger/flight attendant “Aimless Woman,” who, directly addressing Ghada, slams her for the negative portrayal of the profession. “Aimless Woman” might actually be the best thing to come out of Ard Gaw, which so far remains mediocre. 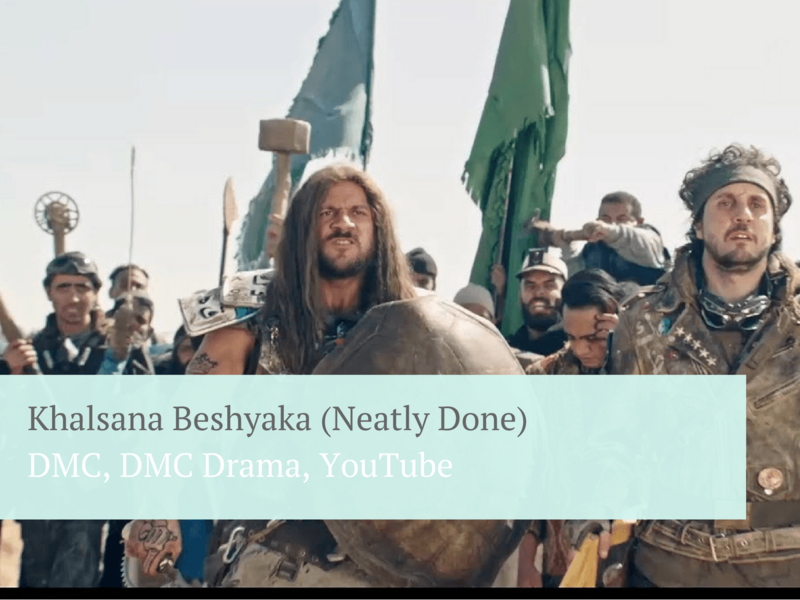 Consistently trending on Google’s list of most searched videos on YouTube, Ahmed Mekky’s Khalssana Besheyaka is pure misogyny in the form of a formulaic, though sometimes funny, comedy. We didn’t recommend it in our “What to watch, What to drop” listing, but the show is difficult to ignore due to its high viewership, its highly problematic gender stereotyping and shameless sexism. Despite its big budget and star-comedian cast (with the exception of Dina al-Sherbiny, who doesn’t have a comedic bone in her body), the show’s premise is a world where women rule – but not really. For there is still Habooby Dabdooby (played by comedian Chiko), who was born into the female clan during the onset of the war between the sexes, and while he continues to pledge allegiance to the women, he also holds a significant influence of power himself. While we’re led to believe that Karma (Sherbiny) is the women army’s leader, most of the rational decisions come from Habooby Dabdooby, as the women are often too emotional, irrational or distracted by concerns of beauty to behave logically. Even in a post-apocalyptic, war-ridden Egypt, women are stereotyped as caring mainly about lattes, hair dye and selfies. Stay tuned for a longer review on Mada Masr regarding the show’s representation of women, and possibly its use of mahraganat music, as it features popular group Madfaageya, who are ultimately cast to make fun of themselves. This period drama shows precisely what’s wrong with the limitations of Ramadan TV production. The recipe and execution is impeccable. Based on veteran novelist Bahaa Taher’s award-winning novel, the show is directed by the acclaimed Kamla Abo Zekry, who brings to life a script by Mariam Naoum and Ahmed Badawi (until episode 16) and then Hala El Zoghondy (starting episode 16). The subtle references to our current political reality told through the lens of Egypt’s colonial history results in several poignant moments. The choice of locations, the graphics, the art direction, the costumes and the makeup are commendably executed. Though the same cannot be said of the strenuous effort to turn Menna Shalaby into an Irish woman, the performances in general are top-notch, especially Khaled al-Nabawy as the lead, Sayed Ragab as Shawish Ibrahim and the always-impressive Ahmed Kamal – so good as Sheikh Yehia that he isn’t recognizable. The cinematography by Nancy Abdel Fattah (Women’s Prison, Wahed Sefr) makes almost every frame a work of art, working brilliantly with the score composed by her longtime collaborator Tamer Karawan. So what’s the problem? The 30-episode structure is its downfall. Sunset Oasis could have been a cinematic masterpiece. It also could have been a fantastic 12-episode series. But as it stands, the events occur at too slow of a pace to allow a view to really get immersed, leaving all the other wonderful elements of the production without a strong skeleton to support them. The fact is that because there can be 20 high-paid ad slots in each commercial break, filmmakers who need big budgets for their work are obliged to work within Ramadan television’s tight framework. I’m not sure I’d have watched the past 16 episodes if my work didn’t depend on it. Yet the imagery and music really helped salvage the losses in storyline, despite its team’s best efforts. 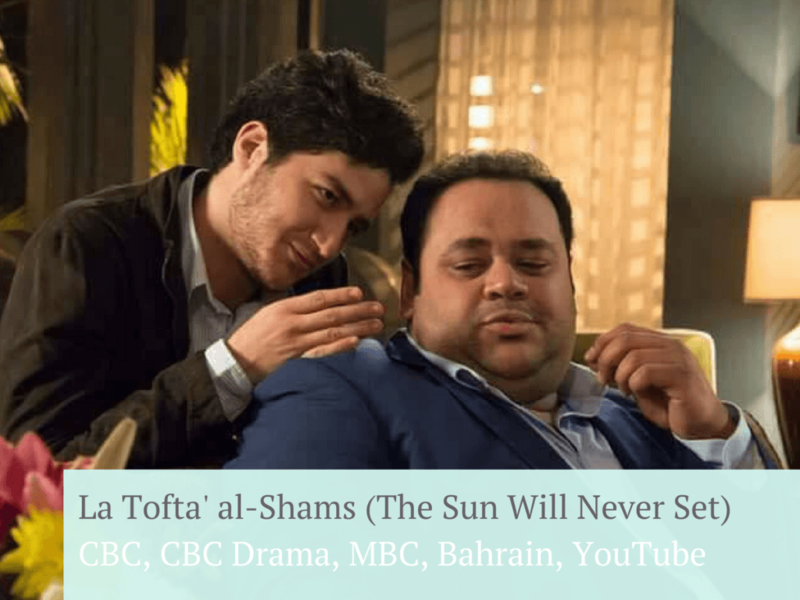 Important note: Sunset Oasis is available on DMC and Dubai TV’s YouTube channel, but it’s highly recommended to watch it on the channel of its producers, El Adl Group, since other channels have censored various scenes for political or supposedly sexual content. Despite our initial hesitation about this show, it’s actually become very entertaining. It packs a large number of typical Ramadan drama tropes (marriage woes, infidelity, sexuality, class tensions, artifact theft) into one plot, but its portrayal of the plight of women trying to get by in a man’s world is commendable. Yousra plays a woman whose business in a lower middle class neighborhood secures domestic workers for affluent families, so the show ends up focusing quite a bit on what the world looks like from workers’ perspectives. From Yousra’s character, who has raised her daughters alone since her husband passed away, and Abeer (Nada Moussa), who must hide her job as a domestic worker from her disapproving husband to make ends meet, leaving her deeply conflicted, to the abrasively vulgar Samah (Poussy), who, parentless and moneyless, relies on her streetsmarts and courage to make her own way, the show’s women are resourceful and determined, while the men are primarily dishonest, inept or opportunistic. The saving grace for the show’s men is breakout star Kareem Fahmy (younger brother of Ahmed Fahmy, famous for his roles in films such as Sameer, Shaheer and Baheer and Night at the Museum ripoff Third World War). This is not his first role, but it is the first to bring him to my attention. Other than his acting, let’s just say he’s very easy on the eyes. I wouldn’t go so far as to call this a feminist show, but it is refreshing to see so many strong-willed women portrayed in a 30-minute episode. And while the plot may not seem the most realistic, the relatively fast progression of events, as well as the set and costume design, have kept me watching this far. The most compelling storyline is about Toqa (brilliantly played by Asmaa Abu al-Yazid), whose phone was hacked and is now being blackmailed. She receives menacing calls from a man telling her to go to him or he will upload a video of her sleeping with someone to the internet. Desperate, she throws herself in front of a car– and this is how she meets Samir, who takes her to the hospital and becomes enamored with her. Mohamed Farrag is scarily good as Samir’s friend, who is also in the habit of blackmailing women into sleeping with him through his job at a phone shop. His power trips are sadistic, and we see it is less about carnal gratification than power over women. Akram – who is holier than thou when it comes to men who cheat on their wives or beat them – also goes on his own power trips and displays selfishness when it comes to the women in his life. Yet there is something lacking in the treatment of relations between men and women. We have seen the first few seconds of the video of Toqa in which a young man sets up the camera before she arrives, but so far the question of whether she consented to their sexual encounter hasn’t been raised. 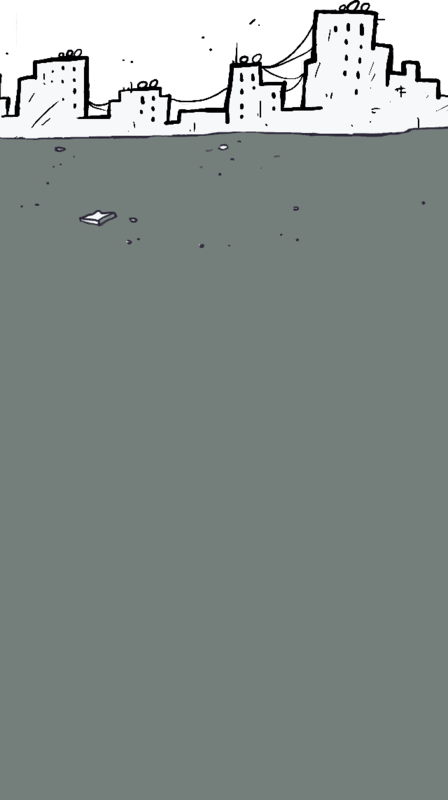 And when Toqa finally speaks in a voice of defiance – defending herself against the accusation that she is dirty — it is to say that she threw herself in front of a car because her honor is worth more to her than her life. But the acting is consistently excellent, and the strong cast carry a compelling – though sometimes wavering – plot. We recommend seeing it through. This show is very disappointing. Asser Yassin as psychiatrist Tarek is the only cast member who acts convincingly amid a collection of strange caricatures that are trying too hard. Tarek’s wife Taghreed is particularly over-played by Ingy al-Mokadem, and Bassel al-Khayat is obnoxious in his role as the psychotic but possibly brilliant Sameh/Tawfik, who is conducting a psychological experiment with unsuspecting Tarek as his subject. At first, Sameh’s eccentricities are somewhat charming, and in the first few episodes I imagined I could overlook his textbook “crazy-character” tics, his emphatic declarations of “Oh wow, I love jazz music!” and his evil-man finger pose. But the combination of his black-on-black Berlin look, the echo effect used on his laugh and his pathological love for jazz has proved to be too much to take seriously, yet too little to be fantastical, entertaining or novel. Unless the mark’s in that spot right between annoying and unrealistic, this villain completely misses it. Long montages of Khayat playing saxophone at a bar while plotting to ruin Yassin’s life are also unnecessary, though abundant. For a show predicated on the idea that at least one dramatic (possibly terrible) thing happens to our protagonist each day/episode, it is surprisingly boring. Even the dramatic moments feel contrived. Yassin’s performance is decent, but nothing exceptional. Even his boyish good looks can’t save this show from what it is, a very misguided attempt at a psychological thriller. P.S. I think jazz has ruined everything. Personally, I consider Kafr Delhab as a suspense drama more than horror, but it has successfully held my attention – despite having avoided Ramadan dramas for years, this year I keep waiting for the new episode at nine o’clock every night. Scenarist Amr Samir Atef and director Ahmed Nader Galal draw a very interesting plot, whereby a curse hits the village of Kafr Delhab after a group of rich and powerful kids kill a young girl. The spirit of Rihana comes back for revenge, and the village doctor tries to solve the mysterious murder. The plot is vivid and develops rapidly in every episode, so we discover a new detail of the puzzle every day. A strong sense of political symbolism also directly connects Kafr Delhab with victories and defeats of Egypt’s revolution. After 17 episodes, we start to realize that the real curse is about to start – but no one really knows if this concerns just Kafr Delhab, or whether it’s a reference to events taking place beyond the series, in the real world. Love, love and more love. The Sun Will Never Set revolves around the romantic relationships of an upper middle class family directed through what seems to be a constant Instagram filter. It started out promising, as it’s based on a famous literary text, and it’s been made into a film and a series before. People were excited. But the overuse of superficial romantic scenes have built up a sense of boredom as the events spin in unending circles. Through controversial relationships that bring the characters head to head with societal, family and class values, at the start, it seemed to encourage rebellion. But as the episodes have progressed, this sense has diminished and the characters have made compromises with an air of appeasement (such as Adam, having run away, returning to ask for forgiveness only to be met with punishment, or Aya developing feelings for a friend who is her age rather than her married teacher). While many thought its tendency to depict socially free characters (drinking, dancing in nightclubs) was progressive, it’s proved to merely be a passion for showing the lifestyle of the privileged. The novel tells the story of a family that’s recently lost its patriarch through the focus on the eldest son Ahmed’s psychological transformations, but, in scriptwriter Tamer Habib’s adaptation, the five siblings and mother each have an equal share in leading the story. This was promising, but even though Habib adds several new characters and storylines, the result is nothing more than a soap opera. 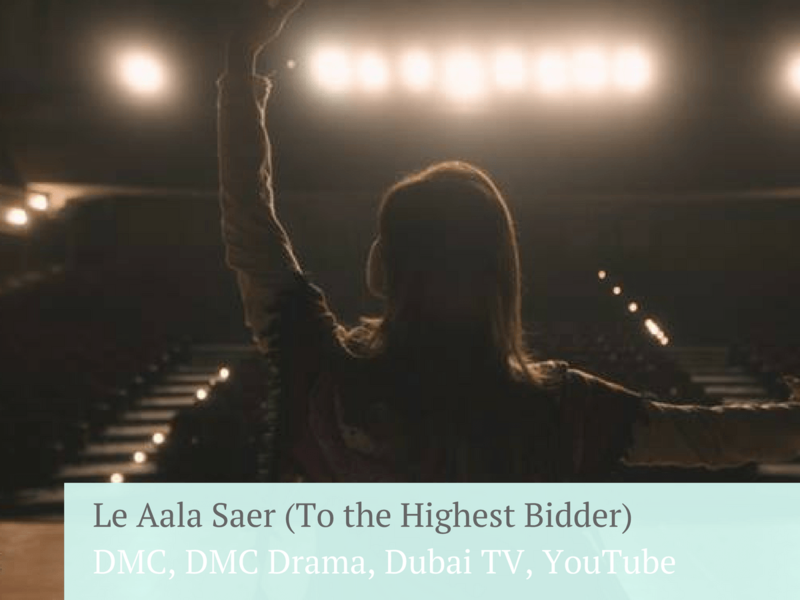 After focusing on watching psychological dramas in recent years, I was optimistic that the return of soap opera star Nelly Karim to a lighter social drama would be refreshing and enjoyable, despite the shallow treatment apparent right from the beginning. Yet the plot seems to have stagnated early on in the style of the Turkish soaps that have gained popularity in the Arab world in recent years: Nothing ever really happens, except for characters reinforcing their absolute belonging to one of the camps of evil or good. In the first half of the show, Jameela (Karim) settles more and more into the victim role as she endures the pure evil of her ex-husband (Ahmed Fahmy) and her best friend (Zeina), who not only stole the husband but also took her daughter and left her homeless and penniless. Jameela goes to live with her father (Nabil al-Halafawi), her partner in representing pure goodness, while her mother and brothers desert her, with no sign of conflict for their business interests with her ex. The moment of transformation is underwhelming due to the absence of a proper build-up: Jameela dances ballet while taking off her face veil – which she put on in the start of the show as one of the signs that she had given up her identity for her family. Although this scene seems to promise a shift in the events, I expect it to remain confined in the realm of the classical fight between good and evil. For this reason, I don’t recommend that you continue watching this show. "Watching this series is as painful as having a tooth pulled."